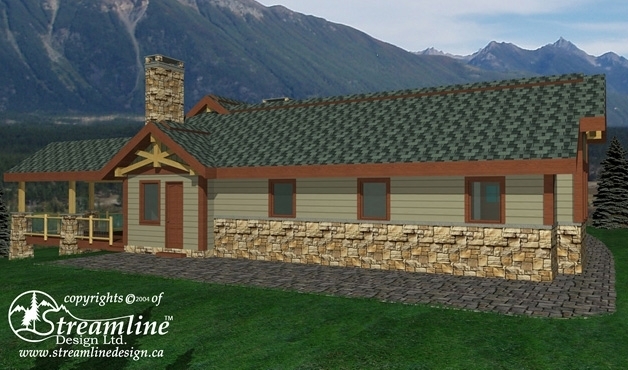 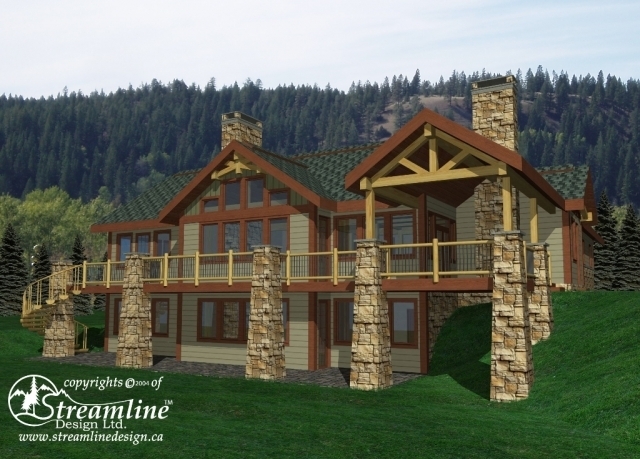 This rancher style timber frame log home is full of living space for the whole family. 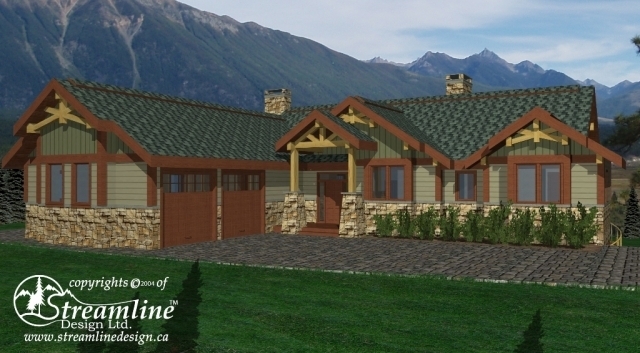 Three bedrooms, two with walk-in closets, two bathrooms, a family room and wine cellar show off the bottom level while the main floor boasts a private master suite with ensuite and his and her walk-in closets, full bathroom, office, open concept kitchen, dining and great room as well as a two car garage and workshop. 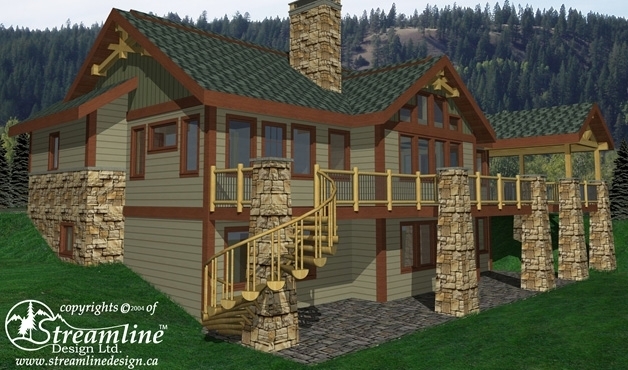 Enjoy the view from the large, covered deck.